Well, third attempt (or more) at blogging. I am tutoring in our Classical Conversations group this upcoming year. As I have been preparing for this new endeavor I have done many internet searches for "cc tutor" info and haven't come up with much help. It could very well be that I am not searching quite right. However, I thought in the event that there are not many CC tutor blogs out there... I might be able to provide some ideas to other tutors. 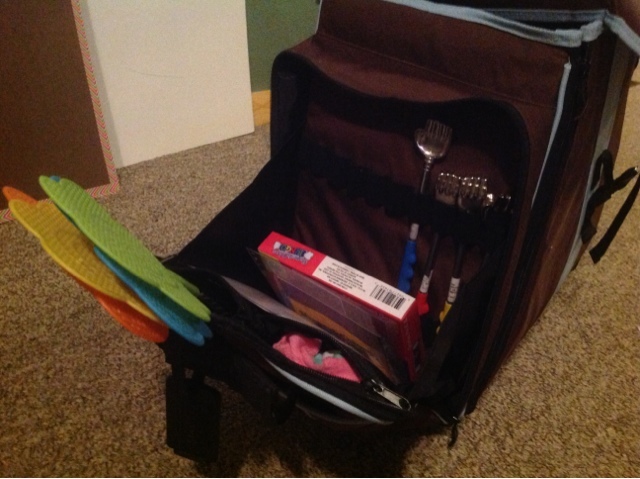 So for this first post I thought I would show you some of the things I've put together over the summer in preparation for the upcoming school year. 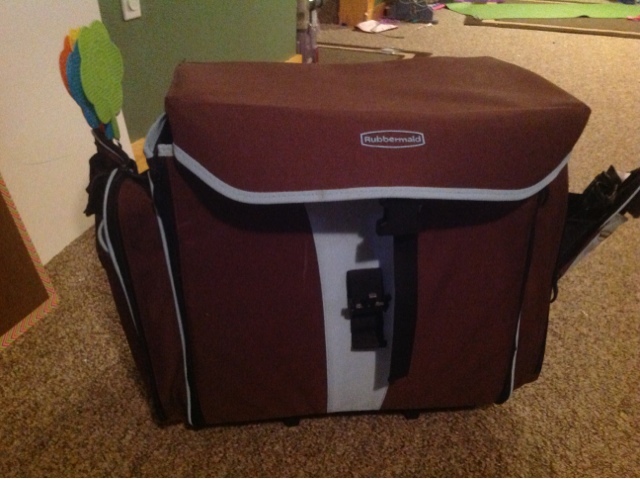 As an ex-paper crafter (hopefully life in the future will allow this hobby again) I have this great rolling tote. 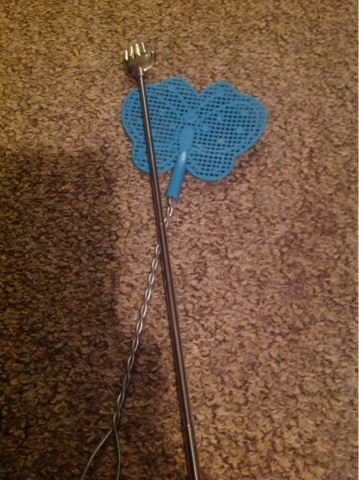 It hasn't been in use since my 2 1/2 yr old was born. It is going to be the perfect rolling classroom for the upcoming year. Lets peak inside. The left side is going to be mainly review game materials. 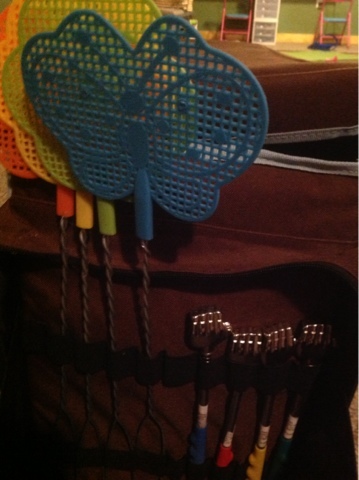 So here I have four cute fly swatters and four "pointers" (extendable back scratchers) from the dollar store. I will post the games we use with these items in the future. Some of the wonderful ladies I met at my CC practicum this summer suggested bingo as a review game. 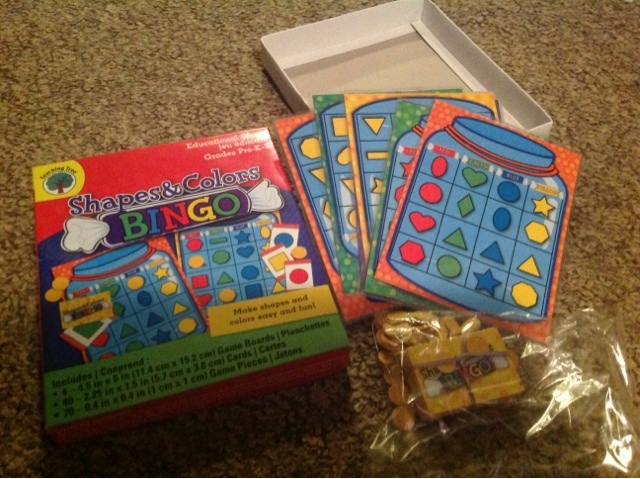 I swiped these shape bingo sets up at the dollar store to use in my class. I will assign a subject to each shape/color and ask the questions as I pull the cards. 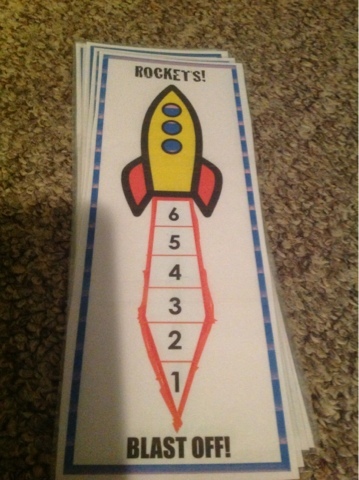 I laminated my cards so that the kids can use dry erase markers. I didn't feel like using the provided paper dots as markers. I was pretty sure we'd lose them all over the floor and then guess who'd be cleaning them up. 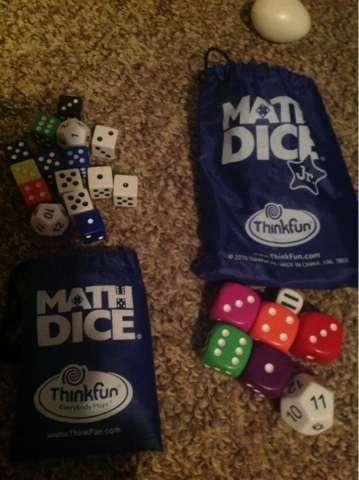 Then Math Dice (with extra dice inside) and Math Dice Junior. Now to me these just look like so much fun. Big, colorful dice. Some that are twelve sided. I guess for a game lover I just see fun. I found some great games to use with these (in posts to come). No this isn't laundry. 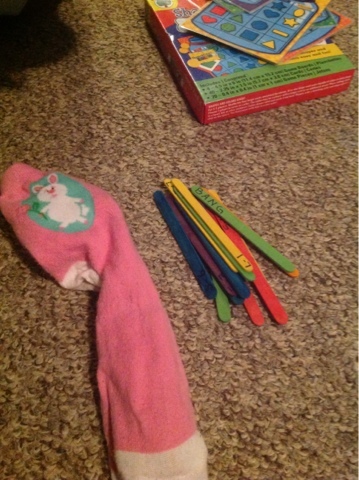 Well, it is a sock, but it's clean and I needed something to put my popsicle stick game inside for safe keeping. The game is called BANG- no shooting involved. 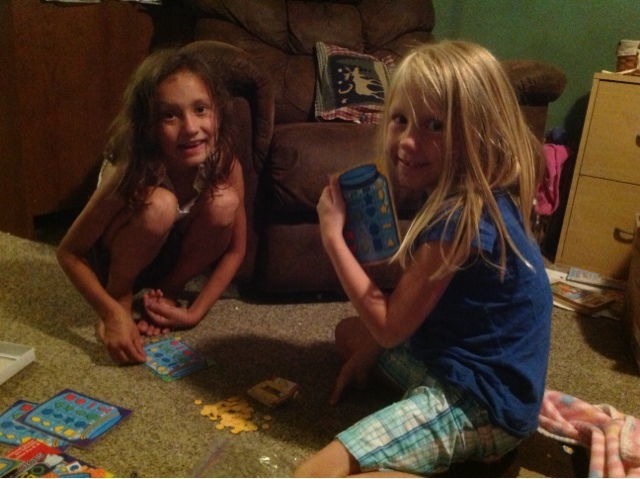 My kids have tried out all my review games and like them. Right now they came down and started playing with the bingo set. Kid tested and mother approved. Well that was a longer post than I imagined. So, I'll have to do it in parts. Tomorrow- what's inside the main compartment of my CC Tutor rolling classroom... Stay tuned.